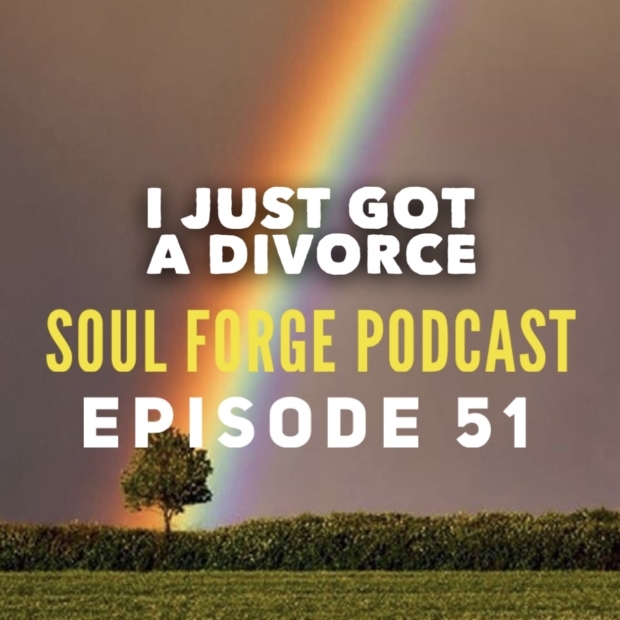 This week’s Soul Forge Podcast goes into a deep dive on all aspects of getting and going through a divorce. It can be messy and emotional and hard to talk about, but this is a subject we are bringing into the light on this week’s episode. The divorce process and feelings surrounding it. Divorce can be an extremely emotional experience that creates a wide variety of mixed feelings. Some relationship history; a time-line of tragedy or preventable folly? Thoughts, feelings, hopes and preparation for re-marriage. What changed my mind — the initial disbelief in divorce. The divorce process: forms, costs, procedures, etc. Variable emotional response…divorce really makes you feel some deep feelings. Entering a new relationship, getting re-married, the family response, the child factor.